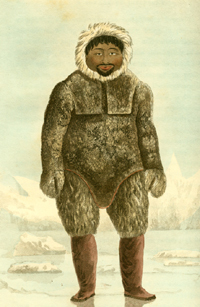 Ross's voyage resurrected the British government's quest for a Northwest Passage through the Arctic after a two-hundred-year hiatus. A seaman since his teenage years, Ross gained his experience in a number of naval engagements over a wide range of territory: the Mediterranean, Caribbean, Baltic, North Sea, South Atlantic, and White Sea. At the age of forty, he accepted without hesitation the assignment to command the Admiralty's expedition. 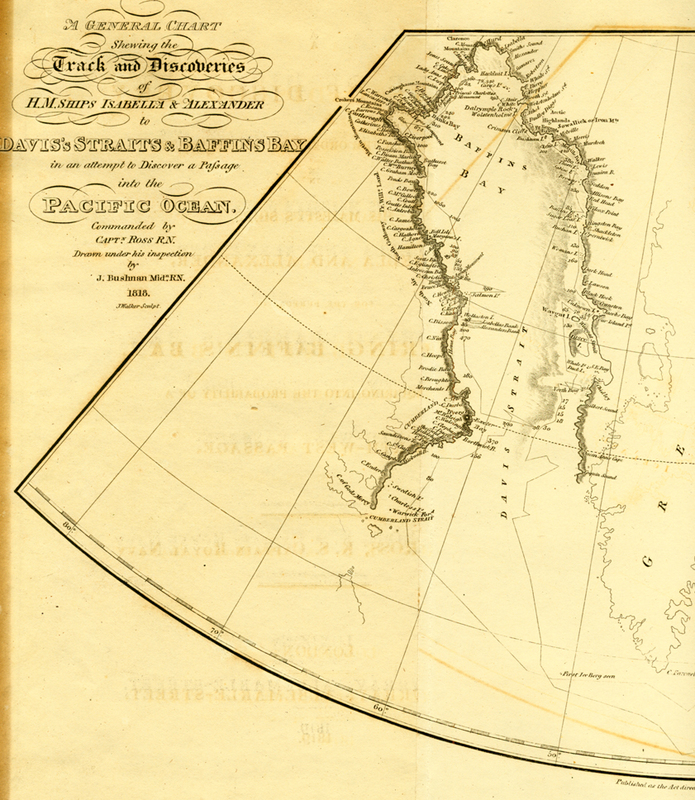 In addition to discovering a passage to the Pacific, Ross's secondary object, outlined in his official orders, was the improvement of the geography and hydrography of the Arctic Regions, of which so little was known. As commander, Ross was offered a salary of £46 per month, able seamen £3. The selected ships, Isabella (385 tons) and Alexander (252 tons), underwent strengthening and reinforcing improvements inside and out; their combined twenty-six month food allowance included over fifteen tons of bread, eight tons of beef in eight-pound pieces, 3500 pounds of lemon juice, and 1000 pounds of raisins. The Isabella carried an assortment of scientific instruments and a library of the published journals and accounts of earlier expeditions, such as those of Hearne, Mackenzie, Ellis, and Cook. Among items intended as gifts to natives on the west coast of Greenland and the coast of America were: 2000 needles, 200 looking-glasses (mirrors), 30 pairs of scissors, 150 pounds of soap, 102 pounds of snuff, 129 gallons of English gin, and 40 umbrellas. Accompanying Ross and his crew as an interpreter was John Sacheuse, a native of Greenland who, having been saved in a storm by an English ship several years before, had learned English and converted to Christianity. Ross's heavily illustrated expedition journal, with appendices full of zoological [see sample bird entry], geological, and geographical data, became a model publication for subsequent British expeditions.